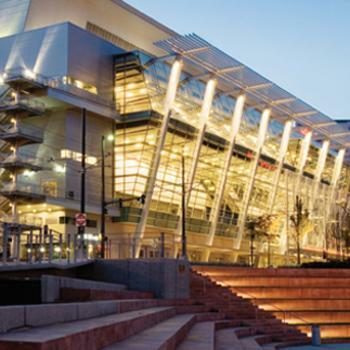 The Greater Tacoma Convention Center [GTCC] is an upscale, modern meeting facility. The acclaimed GTCC’s contiguous glass walls give way to breathtaking mountain and water views. Anchored in the heart of Tacoma, GTCC is the second largest meeting facility in Western Washington. Offering more than 118,000 sq. ft. of flexible meeting space, GTCC is not only upscale, attractive and affordable, but dedicated to protecting the environment through implementation of green policies and practices.